As someone who has been attending the Chicago International Film Festival regularly since 1993, I can honestly say that the forthcoming 48th edition offers a shockingly good array of films, maybe the best I’ve ever seen. Not only will CIFF soon play host to regional premieres by major international auteurs like Leos Carax (Holy Motors), Abbas Kiarostami (Like Someone in Love), Raul Ruiz (The Night in Front), Apichatpong Weerasethakul (Mekong Hotel) and Jan Troell (The Last Sentence), it also snagged an impressive number of buzzed about prize-winners coming out of this year’s biggest European film fests, from Berlin (the Taviani brothers’ Caesar Must Die) to Cannes (Matteo Garrone’s Reality, Carlos Reygadas’ Post Tenebras Lux, Cristian Mungiu’s Beyond the Hills) to Venice (Olivier Assayas’ Something in the Air). And this is to say nothing of the exciting titles on offer that are more off the beaten path, including documentaries (Room 237, The Final Member), experimental animation (Consuming Spirits), cult items (John Dies at the End, The Jeffrey Dahmer Files) and strong local work (F*ckload of Scotch Tape). At the 48th CIFF there is truly something for everyone. Below is the first of several previews I’ll be offering of the festival, which begins on October 11th and runs through the 25th. Any of my students who attend any of the screenings (and staple their ticket stubs to a one to two page screening report) will receive extra credit. Refer to the extra credit page of your course website for more information. Torgny Segerstedt was a “failed theologian” who became one of Sweden’s most respected — and controversial — journalists after he began crusading against Hitler in a left-wing newspaper run by friends in 1933. Segerstedt continued this mission undaunted for over a decade even though both the Prime Minister and the King of Sweden tried to convince him to tone down his rhetoric for fear of a German reprisal. While a powerful reminder that silence is acquiescence, this is not just another WWII-related history lesson but also a powerful character study that focuses on Segerstedt’s intimate relationships with three women (his mother, his wife and his mistress), all of whom appear as literal ghosts at one point or another in the movie. 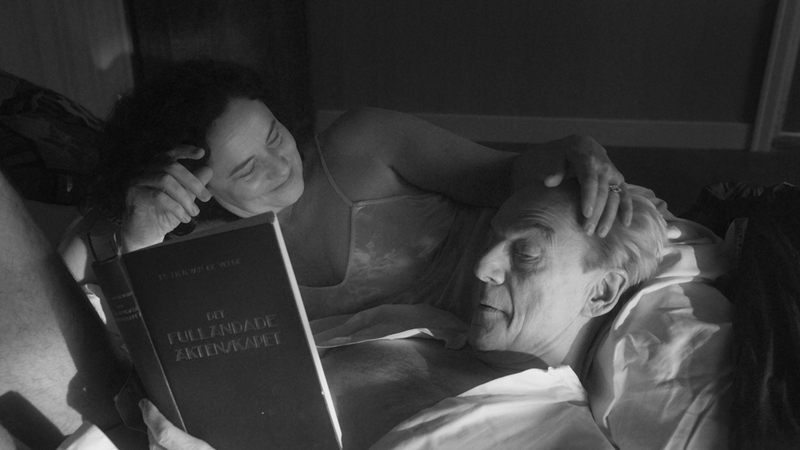 Beautifully shot in crisp black and white digital, the latest from 81-year old Swedish master Jan Troell (The Emigrants, Everlasting Moments) has some of the stateliness, grace and intense interiority of late period Carl Dreyer. Troell is scheduled to attend the screenings on 10/19 and 10/20. In this impressive Chicago-shot crime tale, Benji, a petty criminal who resembles Macaulay Culkin on steroids, earns $50,000 for his part in a kidnapping plot only to find that he’s been double-crossed by the man who put him up to it. Writer/director Julian Grant shows an appreciation for the sordid atmosphere of rank desperation that characterized the best PRC programmers of the 1940s but updates it for the 21st century by adding a healthy dose of homoeroticism as well as an unexpected string of musical numbers; the film develops a darkly funny, singularly nutty quality as the fresh-faced Benji incongruously lip-synchs the songs of gravel-voiced Tom Waits sound-alike Kevin Quain while embarking upon his bloody rampage of revenge. 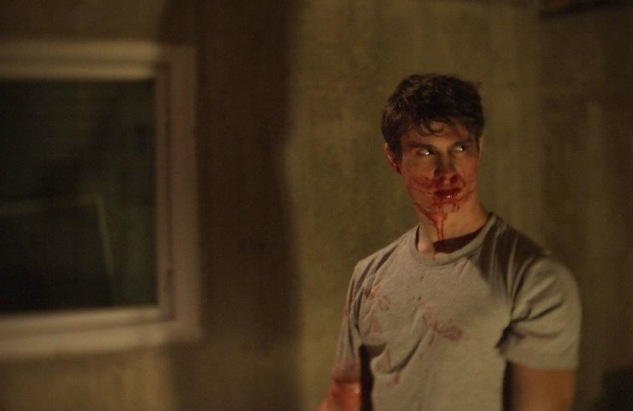 With minimal production values and money but a few well-chosen visual motifs (a lollipop, a mask, the eponymous adhesive) and a fuckload of filmmaking heart, Grant has deftly crafted 84 minutes of brutal, sleazy neo-noir fun. Grant is scheduled to attend all three screenings of the film. 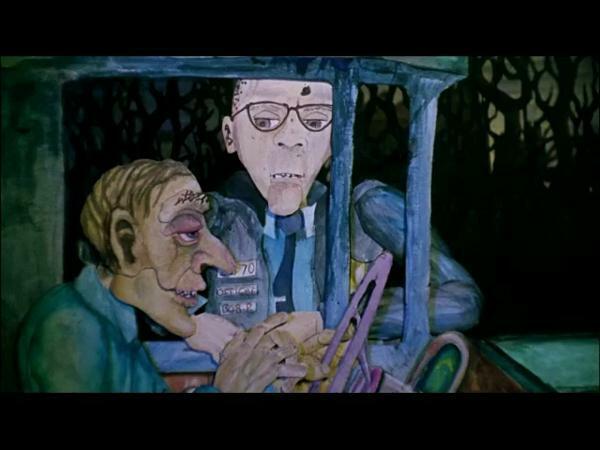 This experimental animated epic concerns the intertwined destinies of characters named after colors (Blue, Gray, Violet) in a small Midwestern town over a period of several decades but only gradually does something like a narrative emerge from the carefully honed rural/Gothic atmosphere. Imagine Tim Burton at his early imaginative best making a film adaptation of A Prairie Home Companion and you will have an inkling of what writer/director Chris Sullivan (perhaps best known to local cinephiles for playing the creepy guru in Melika Bass’ Shoals) is up to. The consistently inventive visuals (the images are comprised of cutout, stop-motion and traditional hand-drawn animation) are a delight from beginning to end even if I must confess that at 136 minutes this occasionally tested my patience. But given that Sullivan shot Consuming Spirits in 16mm and HD over a 15 year time span, he brings a whole new and awe-inspiring meaning to the word “painstaking.” I certainly enjoyed the end result more than most of the animated films I’ve seen from Hollywood in recent years. Sullivan will attend the screening on 10/16. This entry was posted on Monday, October 8th, 2012 at 7:21 am	and tagged with Chris Sullivan, Consuming Spirits, Dom över död man, F*ckload of Scotch Tape, Jan Troell, Julian Grant, The Last Sentence and posted in Chicago Movies, Film Festivals, Film Reviews. You can follow any responses to this entry through the RSS 2.0 feed. I can’t wait to get the fest kicked off later this week, beginning with “The Final Member”! Me too! It will be CIFF madness around this place for a while: I should have another preview up (with at least 3 more capsule reviews), several filmmaker interviews and a “report card” when it’s all over. Huzzah! 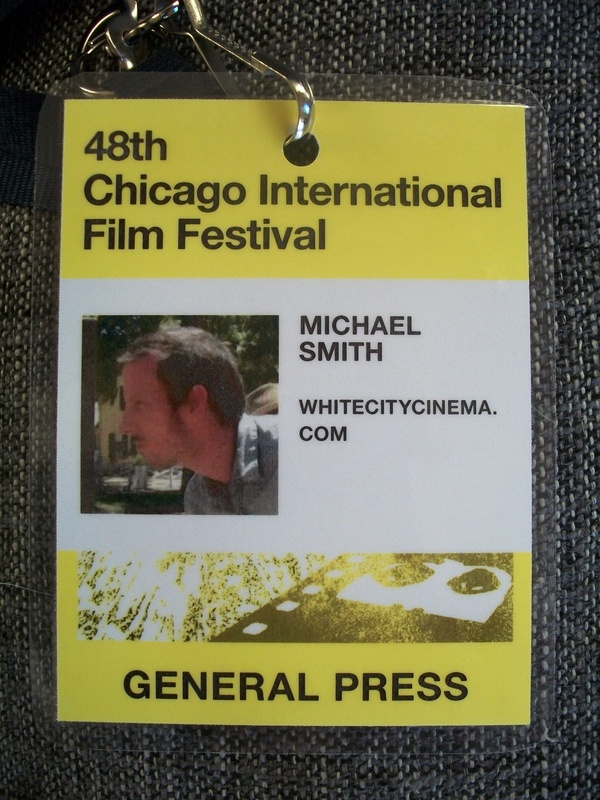 I see your site url on the card,did you attend CIFF as a website reporter? I like Everlasting Moments a lot,so I guess The Last Sentence is also my dish. The festival hasn’t actually started yet. Opening night is on Thursday but, yes, I was fortunate to be granted a “press pass” that has allowed me to see press screenings and check out DVD screeners. I’m seeing the new Kiarostami tomorrow. I’m also interviewing Jan Troell and one or two other directors next week. Good times! Can’t wait for the Kiarostami film report! And the interview,wow! The press pass is very exciting, and I know that you’ll take full advantage of it! I also love that the picture on the pass is of you looking through a camera. Very clever.